The average person probably wants to learn how to get rich. While many think figuring how to get rich may be impossible, I'm here to tell you that it isn’t. And no, you don't need to win the lottery or become a professional athlete. The meaning of wealth and being rich means something different to everyone. For some, it means having lots of money, for others it may mean having a positive net worth, and for others it may be to retire one day. Whatever your definition of “rich” is, everyone has the potential to build and improve their financial situation. If you want to be rich one day, then you'll have to form good financial habits now, work hard, and reach outside of the norm. Learning how to get rich won't be easy – but what good things come easy anyways? For many people, learning how to get rich may seem impossible and completely unattainable, but that’s simply not true. Building wealth and learning how to get rich is about your mindset, and figuring out how to get rich now is better than waiting any longer. Here's how to get rich– for anyone and at any age. Don't wait until tomorrow to learn how to get rich. Instead of thinking that you're invincible and that you have all the time in the world to improve your finances, you should stop procrastinating and learn how to build your wealth now. Many people push things off and/or spend their money carelessly because they think they can start tomorrow, start next month, and so on. However, for everyday that you push off improving your finances the further away and harder you'll have to work towards your goal. Stop wasting time and take control of your financial situation now. Be better than average if you want to learn how to get rich. If you want to build your wealth, whatever that might mean to you, then you're going to have to go outside the norm, be better than the average, and do new things. When learning how to get rich, you should always strive to do your best as sometimes “average” is not good enough for you to build wealth. Keep in mind that the average person is not the greatest with money, and many are wrecked with stress and hardship due to their unfortunate financial situation. To be better than average, you'll have to work hard, learn how to manage your money better, and perhaps take some risks (such as starting a business or applying for your dream job) as well. Those who set goals are much more likely to be successful than those who do not. Due to that, if you want to be rich, you'll want to start setting goals for yourself. Setting goals is important because without a goal, how do you know where you’re heading? Goals can keep you motivated and striving for your best. When building your wealth, you should always make sure that any goal you set is SMART. Attainable – Is this a goal that can be achieved? Write down your goals and objectives. Create a plan to reach your life goals. Break your goal apart into smaller goals. Keep track of your goal setting progress and make changes (if needed). Find small ways to stick to your goal. Find ways to motivate yourself when setting goals. Make reaching your goal a friendly competition. Read further at The Best Way To Set Goals And Reach Success in 2017. To learn how to get rich, you'll want to create a budget. Yes, even the rich have budgets! The average person has a lot of financial stress and may be dealing with student loans, credit card debt, a mortgage, car loans, and sometimes even other forms of debt. However, not many people have a budget. In fact, more than 60% of households in the U.S. do not have a budget. Budgets are great, because they keep you mindful of your income and expenses. With a monthly budget, you will know exactly how much you can spend in a category each month, how much you have to work with, what spending areas need to be evaluated, among other things. Remember, even those with high incomes have a budget. The rich stay rich because they have learned how to manage their money better than the average person, which includes being aware of your spending and saving. When creating your budget, be sure to include all of your income and expenses. Home – House payment, rent, maintenance, utilities, insurance, property taxes, etc. Car – Monthly car payment, gas, maintenance, insurance, license plate fees, and so on. Television, cable, Netflix, Hulu, etc. Food – Groceries, restaurant spending, snacks, etc. Entertainment – Entertainment can include many things, such as going to the movies, going out for drinks, concert tickets, sports, and so on. Charity – If you regularly donate to charity, then this should be an area you budget for. Savings funds – This can be for your retirement fund, wedding, travel, etc. Taxes – If you are self-employed, then taxes may consist of a large part of your budget. Miscellaneous – Pet expenses, fees, childcare, school, gifts, etc. You can get a free budget printable by signing up below. Realize that a good life can be affordable. As you all know, I really dislike the myth that people who save money are boring. That’s not true at all. I believe that you can balance living a good life along with saving a comfortable amount of money. If you want to learn how to get rich, then learning how to be happy with yourself and figuring out affordable ways to enjoy life are key. Pay off your debt if you want to learn how to get rich. If you want to learn how to get rich, then you'll most likely want to figure out how to eliminate any debt that is preventing you from reaching your financial goals. For the average person, this probably means any high interest debt, any debt that's causing you stress, and so on. The first step to eliminating debt is to realize why you have debt in the first place. I believe that if you don’t understand where your problem with debt stems from, then it would be hard to make a positive change. Yes, it is great to just start attacking your debt, but you also don’t want to fall into the same cycle of going into debt over and over again. After you realize why you are in debt (or why you keep going back into debt), the next step is to figure out how you will eliminate it. There are many different ways to attack your debt, and I prefer a mixture of everything. Quit adding more debt to your life. You may want to cancel or freeze your credit card, think harder before your next purchase, and avoid spending temptations like the mall. Be realistic with your income and spending. If you have debt, then you either have an income or spending problem. You may need to start earning more money and/or start spending less if you want to learn how to become wealthy. Decrease your spending and expenses. Depending on how quickly you want to get rid of your debt, there are different things that you may want to cut out. You could cut out Starbucks (I know, I know), lower your restaurant spending, find a cheaper way to workout, sell your car for something cheaper/more affordable, cook from scratch, and so on. Make more money. The extra money that you earn can be put towards your debt to help you pay it off more quickly. Pay more than the minimum. If you have debt, you should always be paying more than the minimum so that you can lower the amount you are paying towards interest. Put little amounts toward your debt. For example, whenever you get an extra $25 (such as by selling something), then you should just throw that extra money (that you won’t even miss!) towards your debt. Start investing as one of the ways to get rich. One of the best ways to figure out how to get rich is to start investing. After all, you need to have your money work for you! I always say that the first thing you need to do if you want to start investing is to just jump in. However, what if you don’t even know how to start investing? If you are like many out there, you may not know how to start investing your money. Learn how to get rich. Remember, time is on your side, and due to the powerful impact of compound interest it can change your life. This means the sooner you invest, the more you will earn. Compound interest is when your interest is earning interest. This can turn the amount of money you have saved into a much larger amount years later. This is important to note because $100 today will not be worth $100 in the future if you just let it sit under a mattress or in a checking account. However, if you invest, then you can actually turn your $100 into something more. When you invest, your money is working for you and hopefully earning you income. 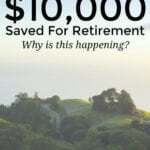 A great article that explains the power of compound interest is Mr. Money Mustache's The Shockingly Simple Math Behind Early Retirement. Start saving your money. In order to invest your money, you need to start setting aside money specifically for it. The amount of money you save for investing is entirely up to you, but in general, the more the better. Do your research. Before you start dumping your money into the stock market and other investments, it’s a good idea to know what you’re putting your money towards. Reading about various investment-related tips and research will help you become more informed about your investing decisions, which will then help you make better decisions well into the future. Find an online brokerage or someone to manage your investments. There are two main ways to invest your money. You can either invest your money yourself through a brokerage or you can find someone to manage your investment portfolio for you. You will need to take part in one of these options to actually start investing your money. Personally, I like to do everything myself through Vanguard. Decide how you will invest. Now that you've opened an investment account, you will want to decide where you will put your investments. How you invest depends on your risk tolerance, the time period for which you are investing (when will you retire? ), and more. Generally, the sooner you need your funds the less risk you will take on, whereas the longer your time period is, then the more risk you may be willing to take on. Track your investment portfolio. The next step when learning how to get rich by investing is to regularly track the things you have invested in. This is important because you may eventually have to change what you are invested in, put more money towards your investments, and so on. Continue the steps above over and over again. To invest for years and years to come, you will want to continue the steps above over and over again. 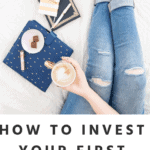 Now that you know the steps it takes to invest your money, it only gets easier. Related tip: I recommend using Motif Investing if you are looking to invest your money. Motif Investing allows individuals to invest affordably. This approachable investing platform makes it easy to buy a portfolio of up to 30 stocks, bonds or ETFs for just $9.95 total commission. Figuring out how to get rich usually means that you'll have to find ways to make more money than you currently do. 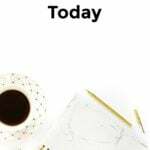 On Making Sense of Cents, I talk a lot about how to make extra income because I believe that earning extra income can completely change your life. You can stop living paycheck to paycheck, you can pay off your debt, and more- all by learning about the many different ways to make money. Trust me when I say that making more money is important. I was able to pay off $38,000 in student loans within 7 months, I was able to leave my day job in order to pursue my passion, travel full-time, and more! The great thing about finding ways to make more money is that your income potential is unlimited. There's no cap on how much money you can make- it all depends on what you decide to do and how much time you plan on devoting to it. You can pay off your debt. Become more diversified with your income sources. Whether you have just one free hour a day or if you are willing to work 40 to 50 hours a week on top of your full-time job, there are many options when it comes to earning more money. Finding ways to make more money will only help you as you learn how to become rich. Make money online such as creating a blog, becoming a virtual assistant, etc. Become an Uber or Lyft driver – Spending your spare time driving others around can be a great money maker. Read more about this in my post How To Become An Uber Or Lyft Driver. Click here to join Uber and start making money ASAP. Maintain and clean yards. You can make money by mowing lawns, killing/removing weeds, cleaning gutters, raking leaves, and so on. Answer surveys. Survey companies I recommend include Swagbucks, Survey Junkie, Clear Voice Surveys, VIP Voice, Pinecone Research, Opinion Outpost, Survey Spot, and Harris Poll Online. They're free to join and free to use! You get paid to answer surveys and to test products. It's best to sign up for as many as you can as that way you can receive the most surveys and make the most money. Move furniture and find jobs on Craigslist. Movers can earn a broad range when it comes to hourly pay, but it’s usually somewhere around $50 an hour if you run your own business. If you love animals, then you may want to look into how to make extra money by walking dogs or pet sitting. With this side hustle, you may be going over to your client’s home to check in a few times a day, you may be staying at their house, or the animals may be staying with you. Rover is a great company to sign up with in order to become a dog walker and pet sitter. Learn more about this at Rover – A Great Way To Make Money And Play With Animals. Rent a spare room in your home to someone else. As you can see, the list is endless when it comes to making more money. Diversify your income streams to learn how to be rich. One thing that separates the rich from those who aren't is that the rich and successful tend to have many different forms of income streams. They may have a day job, a business, rental properties, dividend income, and more. This allows them to bring in more money. They also do this because the rich know that one source of income may not last forever, and they are also able to lessen their risk by having multiple income streams. So, if you want to learn how to get rich, then you may want to add more income streams to your life. If you ever feel too reliant on one source of income, then you know how important this is. Maybe you are afraid that one day you will lose your job or that something will happen to your main source of income. If you work towards building up multiple income streams and diversifying your income, then you won’t have to worry as much if something happens to one of your income streams. By diversifying your income with multiple income streams you will have a backup plan, you may be able to retire easier, you will learn how to get rich, and so on. Note: I recommend that you check out Personal Capital (a free service) if you are interested in gaining control of your financial situation. Personal Capital is very similar to Mint.com, but 100 times better as it allows you to gain control of your investment and retirement accounts, whereas Mint.com does not. Personal Capital allows you to aggregate your financial accounts so that you can easily see your financial situation, your cash flow, detailed graphs, and more. You can connect accounts such as your mortgage, bank accounts, credit card accounts, investment accounts, retirement accounts, and more, and it's FREE. Even the rich find ways to save money. And yes, even the rich find ways to save money. Sure, there are stories about rich people who spend their money like crazy and end up in bankruptcy. But surprisingly, the average millionaire is frugal, and they know how to manage their money well. Mark Zuckerberg drives an Acura. Another interesting statistic is that the average couponer is someone who earns over $100,000 a year. Surprisingly, those who earn less than $100,000 a year rarely use coupons compared to those with high incomes! By finding ways to save money, you'll be able to keep more of your money, learn how to get rich, add more to your investments, and so on. You worked hard for your money, so you may as well find ways to keep more of it! Find ways to save money at 30+ Ways To Save Money Each Month. Stop trying to impress others. When was the last time you bought something that was mainly purchased to impress someone else? Sadly, this is something that the average person does quite often. If you want to start building wealth and understand how to get rich, then you'll want to stop trying to impress others and start living your own life. The rich tend to live below their means. Yes, many of them still spend money extravagantly, but many aren’t living paycheck to paycheck in order to do so. Many millionaires buy items used, they drive “normal” cars like Toyotas, and they aren’t buying things with the sole purpose of impressing others. This is drastically different from those who aren’t rich. Many people try to keep up with others and fall for lifestyle inflation, which can prevent a person from being a good money manager. When trying to keep up with the Joneses, you might spend money you do not have. You might put expenses on credit cards so that you can (in a pretend world) “afford” things. You might buy things that you do not care about. The problems can go on and on. Instead, you should focus on what you want and need. This will help you to save more money, be more realistic with your income and spending, and to build wealth. Do you want to learn how to get rich? What does “rich” mean to you? I love your thought that a good life can be affordable. I believe that one of the most important elements to financial success is being content with your life. It was seriously life-changing when I realized this! I think it’s also really smart to diversify your income streams. That’s definitely something my husband and I are working towards in the near future. Yes, diversifying your income streams is so important! Excellent motivation and tips. Articles are always an inspiration. Thank you! “26% have no emergency savings”. I’m always amazed at how little people have as a cushion. Even people who make a significant income often have no significant saving. To me, this is so important in order to create some breathing room and honestly, just reduce the stress about ‘what if?” I guard my emergency fund pretty hard. My wife and I only dip into this account unless we have discussed it and planned for how to pay it back. Yes, it’s really crazy how people don’t have emergency savings. Many people need to work on that. Very nice post, as always. I love your first point on waiting until tomorrow to learn how to get rich. It’s really too bad that so many people have good ideas to make money, but never start and end up living paycheck to paycheck. Rich is being able to do what you want with your time and money. Starting early and often is a great tip. No time like the present! I’ll get there someday – I’m working on creating multiple income streams and building a business to create a large nest egg which will finance my future endeavors. What does rich mean to you? You didn’t share! Rich to me means many things, but mainly that I’m financially independent and can choose what I do with life. Also, not being controlled by money! Paying off your debt and investing are very important. A couple of years ago, investing wasn’t on my radar at all. Now I have a nice investment with my job. I have also set up accounts with Robinhood and Loyal3. Having my money make more money is very important to me. Making extra money is definitely key. Most people don’t realize how much a little extra income can be worth. If you earn just $3400 a year (enough to max out an HSA), invest that, and let it grow for 30 years, you’ve not got over $300k! All from doing little odd jobs. If you think about it, anyone can probably earn $3400 extra in a year side hustling, especially with all the sharing economy/gig economy apps out there. I love looking for ways to enjoy the good life on a budget. 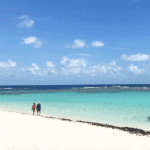 Budgeting has helped us go on some wonderful trips. The multiple sources of income has become HUGE for Millennials. It seems like if you don’t have a side hustle you are really missing out. What’s great about our generation is we have the full capability of the internet, our options are literally endless! We also think that setting goals and sticking to a budget is very wise. We can say it enough YOU have to tell your money what to do or it will leave. If you want to be rich you better start treating your money with the respect it deserves. This could mean early retirement for one, for the other, it’s just freedom, and so on. Then try to visualize it. As soon as it is visual you have a clear goal. After that Michelle’s guide works like a charm. I love it! I’m trying to build additional income streams right now. Sadly, that’s tough while studying & working at the same time. Yes, that is so important! Very well put together post. I really liked it. I went to school for finance and ended up in financial planning. I used to help people get their finances in order using very similar techniques. I think it is extremely import to write down the actual income you have against all of your true expenses. It astonishes me how much money we spend without blinking an eye because it comes in the form of $5 here $15 there. Keeping an eye on day to day spending (vending machines, drinks, snacks, etc…) is a must. You find extra money right there. The other thing I found to be very important was to look at savings a little different. No one wants to really save, it’s painful.. at first. But you change the perspective to paying myself vs saving… That seemed to work for me. I would pay myself before paying any of the bills. Thanks for the post! Hey Michelle – great article. I think a lot of it starts from a mindset of realizing it is possible to be “rich” no matter what your background or current situation may be. 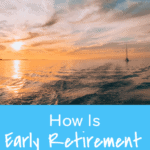 A lot of the early retirees you linked to made less than $100k a year and were still able to retire well before 40. Looking forward to reading more! Great article with tons of useful tips and ideas. The biggest one for me was figuring out what being rich looked like. It wasn’t all about dollars when other parts of life are important. Then creating a budget based on that goal was the next best step. It frustrates me with how many young people STILL put off starting to save and plan. Even with the recession and all these great resources, I hear people around my office saying they don’t want to ‘adult’ yet. I shake my head and try to speak up, but they don’t want to hear it…. Great post, Michelle! “Getting rich” can mean different things to different people, but these are some helpful tips that apply across the board. A luxurious life can still be affordable, and putting yourself on a budget does not have to mean giving up the finer things that make you happy. You nailed it Michelle! I’ll be debt-free except for my rental property this June. It feels amazing to be at this point because this financial journey so far has been something else I tell ya! But I’m thankful for it even thought it was very painful for a least a solid decade and more. I’ve learned so much. Most of all I’ve learned to say the word “NO” to people who wanted to take from me and from enabling family members. Life is great and it’s only going to get greater as I save and be able to give to others truly in need. I’m so thankful! I think that the idea of a side hustle to bring in more money is key to building wealth. Many families can barely live off of one job. They might live paycheck-to-paycheck, but to really start building up a nest egg, more money has to come in. Yes, I want to be rich! But not monetarily speaking. I want to be able to build up a modest savings/investment account. So we don’t have to worry so much about life’s “unexpected” expenses. Having goals is super important, otherwise, it can be hard for spouses to “get on the same page”. Even baby-step goals help. I want my husband to be able to retire while we are still young & healthy enough to enjoy life. Too many people retire and then pass away soon after. I definitely think having a goal in mind and actually defining what ‘rich’ or ‘wealth’ means to you personally. For myself, being wealthy means I can live a lifestyle that allows me to do whatever I want, whenever I want, and wherever I want. I don’t quite have any desire to become a billionaire (millionaire yes, given the cost of things). I think if you can workout first what being ‘wealthy’ means to you, then you can start working on creating the lifestyle you want, and that doesn’t necessarily mean you need millions of dollars. People want to make getting rich difficult and complex. It’s actually pretty straightforward and simple. The hard part is implementation. That’s why I write about goals and habits. The more you can implement goals and habits, the more likely you are to succeed at building wealth, if that’s what you want. It’s not going to just happen without an actionable plan. I have always been the money saving type, but things just gulp the money most times. Anyway, this year has been a life changer for me after my sister’s advice on savings. I opened a new account for the future. No matter how broke I am, I don not ever go there. I pray it goes as planned. The article was insightful and way too educative and informative. Nice one. The people who become millionaires the quickest seem to be those who can create a flourishing business. All it takes is one good idea and some motivation. But that one good idea can be the most challenging part. Brainstorm daily! Hi Michelle, thank you for this wonderful article. I have always been a saver when it comes to money, but I only recently started investing huge amount of money. My husband calls me his money manager, my only problem will be to have different streams of income from side hustles. I am yet to fulfill that goal. You mentioned to not take any more debt, but what if it’s “good” debt, that will bring even more income and pay itself such as rents when the % is good enough? What are your thoughts on this kind of debt and how much do you think is enough? Don’t wait until tomorrow seems like common sense but it needs to be heard. I can’t tell you how many people I meet with that say they wish they had started 10, 15, or 20 years earlier. Also, stop trying to impress others is great advice. Oftentimes the folks that are behind on saving for retirement are the same folks that drive the fanciest cars and live in the expensive neighborhood. Impressing your friends isn’t going to pay your bills later in life.